Monogrammed quilted tote bag. When you go to your next book, craft or club meeting, arrive in style with our beautifully soft quilted tote bag. 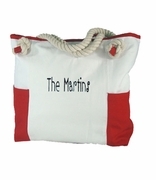 Ditch those worn out tote bags, grocery bags, and carry your tote bag in style. Sporting a stunning coral and mint vine design, it offers more than enough space to carry all the folders, crafts and books needed. A inside zipper allows for that essential mobile phone. 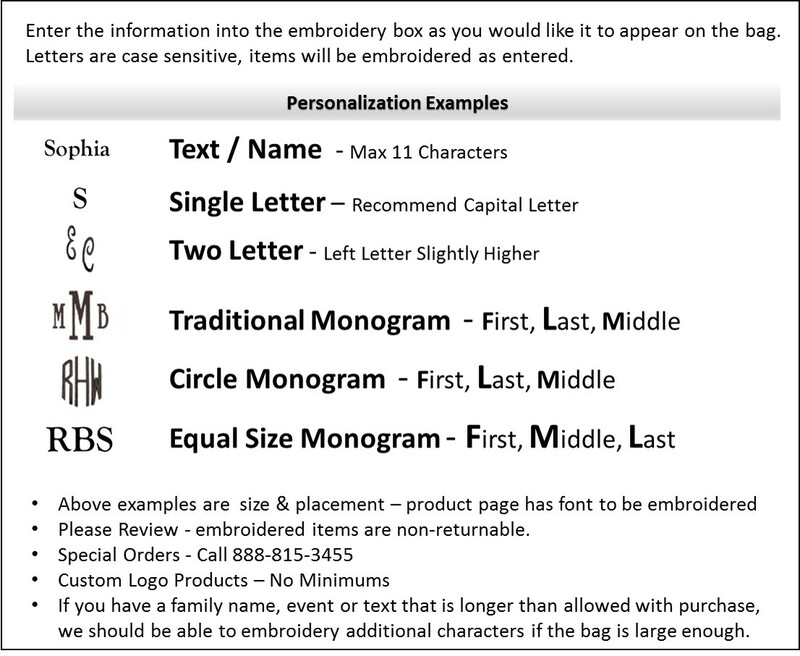 Monogrammed quilted tote bag measures 20"W x 14"H x 7" across bottom. Lined in a coral and white gingham check material, inside zip wall pocket, small 7" x 4" accessory pouch, footed bottom, rope covered handles, zipper closure.